I am so pleased to be a guest blogger at the Cutting Table Blog for the Measure Twice, Cut Once discussion. Let me introduce myself! 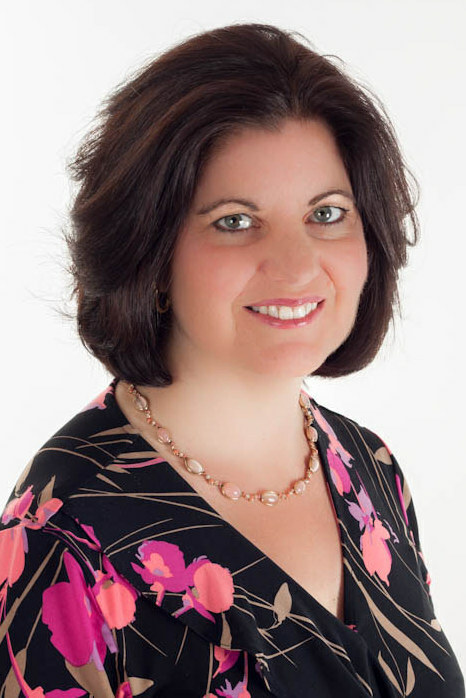 I am Sue Pelland, the designer of the Leaves Galore Templates. Templates, you ask? Why are they Leaves Galore templates and not the Leaves Galore rulers? My explanation is this: templates are made to cut a variety of unusual shapes, such as leaves, vines, ribbons and flowers. You know, shapes for applique. Rulers generally cut traditional piecing shapes such as squares, rectangles and triangles. Rulers measure things, so you can measure the correct size square, rectangle or triangle. My templates allow you to cut curved edge shapes for fusible or hand applique, such as almond shaped leaves or melons (like the center of this Christmas Quilt), “S” and “Z” curves (that make up the ribbon on this quilt) and beautiful lemon-shaped leaves (behind the poinsettia flowers). And the best part is, you can cut these shapes with your rotary cutter up to four layers at a time! Three size templates are available to give quilters a wide range of curves. These versatile tools can also be used for marking quilting designs and cutting serpentine edges on quilts prior to binding. But they are also marked with ruler markings, so you get accurately sized shapes every time. So, you get the best of both worlds, rulers and templates in one! There are so many ways to use the Leaves Galore templates. I recently wrote a book covering all the different things they can do. This book is the ultimate owner’s manual for the Leaves Galore templates. Maybe the best way to describe what the templates can do is to show you a video of cutting with them. I have five videos on suepellanddesigns.com so you can watch and learn new curved cutting skills. I also teach you how to use Mistyfuse, and many of the steps needed to make the lovely quilts in the book. Here is one of the videos so you can see how it is done! Once you start using Leaves Galore, you will be hooked! Then get ready for my new line of templates that will debut at Houston Quilt Market in October. They will go live on my website the same day as Market, so visit suepellanddesigns.com in October to see what all the excitement is about, or sign up for my newsletter to be the first to know when they are released! New Sue Pelland Design templates mean new shapes for Rotary Cut Applique! I can’t wait to show you all the quilts I have in the works using Hearts and More but in the meantime, let me show you some patterns available for the Leaves Galore templates. I will be giving away a Leaves Galore templates to one lucky winner! To enter, please leave a comment and let me know if you have made a quilt using Leaves Galore. If this is the first you have heard about these exciting templates or if you have them already let me know that too! You will have until September 30th at midnight to comment. All winners will be randomly selected and announced on Moda…The Cutting Table Blog on October 2nd. Make sure to visit the blog every day for the opportunity to win each giveaway! By Guest BloggerIn UncategorizedTagged Applique, Leaves Galore Templates, Measure Twice Cut Once, national sewing month, Rotary Cut Applique, Sue Pelland Designs, suepellanddesigns.com, templates175 Comments on Rulers or Templates? Next Next post: The Binding Tool & Mini! I just watched your video, I’ve seen scallop templates before but never one like this that is so versitile. Looks like a lot of fun. Wow! I haven’t seen your templates before but I’m hooked. I’m ready to make Promise Ring and Hope’s Diamond. All the quilts are gorgeous and I love applique. I’m heading to your website to sign up for the newsletter. Fantastic tool.I`ve never seen it before.Your projects are fabulous! This would be great to handquilting. I’ve never seen this before but how lovely!! This is very cool! I have never used or seen this tool for that matter so it would be a great new thing for me! Thanks! Looks like a fabulous tool! I have not seen this before or used one! thank you and I love the projects you can do with this! I have not used your templates but an very intrigued with them. Your work is beautiful. This is the first time I have seen or heard of this product, so thank you for the introduction. I love, love, love applique and the thought of cutting pieces with a rotary cutter is very appealing. Thanks for the chance to win. I have never seen this template. Thank you so much – what a great tool. Wow, I had never seen these templates before. I will be exploring them some more. Thanks! I have never heard or seen these templates before. I’m excited to learn more! Thanks for the chance to win! WOW! Cool tool. Can’t wait to try this one out. Thanks for all the great ideas – especially the ‘Sea’ pillow – love it. This is a “newbie” to me! Very very cool indeed. I have never even seen the Leaves Galore template, let alone used it! It looks fantastic! Thanks for the chance to win. I have never used your templates, but would like to. Your quilts are lovely. This is the first time I’fe seen your templates – what a great idea! Thanks for the give away! I’v never seen this before. Eve’s Garden is beautiful! I’ve seen this ruler in stores and lusted for it, but couldn’t convince myself to buy it. I’m doing a lot more appliqué these days and this would be ideal! What a neat tool! I have never seen this before but it looks like it would really come in handy for a lot of different things! I’ve never have seen this before. What an unique idea! It would be so easy to use. Love your Eve’s Garden pattern. Have never seen these before. Would love to try them. Thanks for the opportunity to won! I have never used Leaves Galore but have always loved the look on quilts. Thanks for the chance to win! What a neat template. Can’t wait ti try it out. I have never heard of Leaves Galore before, and I love the beautiful quilts made from them. I have seen this at quilt shows and have been intrigued. Thanks for the reminder of this tool. I’d love to win one. Beautiful quilts from a template I’ve never heard of before. I would be so happy to win one. This is the first time I have heard of this ruler. Will have to check it out! I have never used the Leaves Galore Templates before. This makes me want to make something so beautiful when I see what you have done with it. Thanks so much for your blog post and for giving one of these away. I hope I win. It might be the boost I need to expand my quilting to learning to do curves. This is the first I am hearing about the Leaves Galore Pattern. I particularly like the Hope’s Diamond pattern and quilt. I have never used this template before but it looks awesome. Thank you for sharing this tool. These templates are cool! I saw you demonstrate them at a quilt show and had to have them! I am anxious to try them out! My momn has made a couple of fun things wiht her templates. I like templates, and this one looks great. You could even use it to mark a quilt top for hand quilting wavy lines. I hope I win, lol! I have never heard of these! Very interesting and looks extremely useful. By hanks for sharing! I’ve never heard of these templates before, but they look really useful! I’ve never seen this template/ruler, but it looks like I am going to have to have one–very cool! I have not seen these templates before, but I sure would like to make the Hope Diamond quilt! Wow, I love those quilts! I’m amongst those not having heard of your templates. Sounds really useful. I love to applique. I’ve never seen these before either, but they look wonderful! This has been my year to finally dip my toe into applique – and I can already see how this tool would really help. I want one! This is the first time I have seen anything about the leaves galore templates. Looks like they are used to create amazing quilts! I’ve never seen these before. I loved watching your video. Thanks so much for the introduction and chance to win! No, I have never used these nor made that design, but I’d love to try it out. Thanks for the giveaway! have not noticed this template before, but sure looks like fun. I have never seen this template before. What a great idea! I love to applique and this would be a fantastic tool to have. Thank you for the chance to win it. I’ve never heard of your template – but am now truly inspired. Going to watch all the videos and start creating some amazing quilts!!! I had not heard of these either. But I love rulers and templates Please pick me I want to give this a try! Thank you! First time I’ve heard of this tool! How wonderful! What a clever idea! I have never seen nor heard of this tool before – thank you for thecahnce to seeand use oneif I win. I don’t collect all the unusual rulers out there because I am predominantly an appliquer…but this one would be useful. I’ve not seen this before but love the quilts made with it. I’ll definitely be looking into getting one. These templates are new to me and look very fun. Love all the quilts you have made with them and would love to try them! 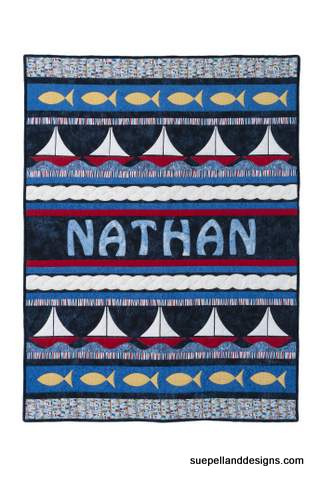 This is the first I’ve heard of these templates, and your beautiful quilts have convinced me to give them a try. I had seen the demo years ago, but at that time I was not doing applique as much. Now I have a couple patterns I would like to do and your ruler would sure come in handy in making them! Hope I win one! Thank you for the giveaway. I have watched your videos and think these are great templates! I would LOVE to win one of your templates! I have a couple of your patterns that I’m dying to make, but do not yet have the “leaves galore” template called for in the patterns. Can’t wait to see your “hearts galore”! I have never seen this tool before – what a great idea! I did some hand applique several years ago and found the cutting to be too fussy. This looks amazing. I would love to win one of your templates! I have never done this before but it looks like fun. I have not used your rulers before but I have seen your videos. Would be so much fun to make a quilt using your templates. Great giveaway, thanks for the chance to win. I didn’t know about Leaves Galore Template but I’m totally impressed and eager to try one. Love the patterns. So fun. Thanks. The rulers are new to me, I would love to give it a try. Thanks. I have never seen these before WOW just amazing! the possibilities are now endless! 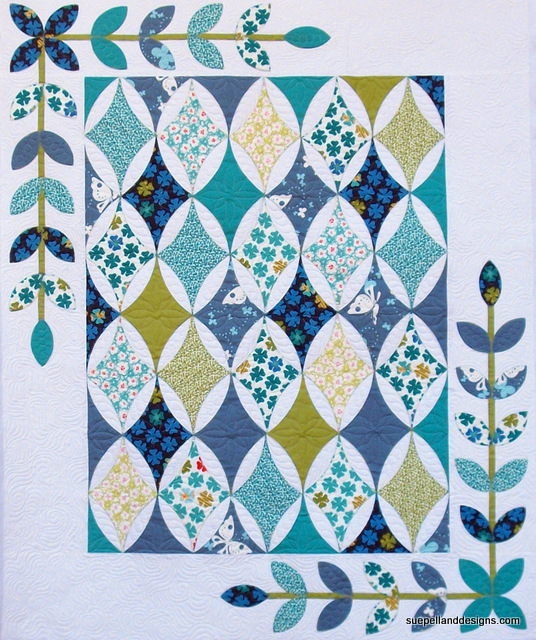 I have never made a quilt using the leaves galore template. And this is the first time I have heard of your template. I really like your quilts. Thank you for sharing. I have never seen this tool before, but I know it would come it would come in super handy! Haven’t seen Leaves Galore before. I wonder if it is available in Oz. Haven’t seen it! Must have it! And look at those wonderful patterns. Thanks for the chance. I’ve never seen this tool before. I can think of many ways to use it. Thanks. Haven’t heard of it but that looks like a fantastic ruler! I’m new to quilting so, no, I have not seen these templates before. Would love to try them out…going on my wish list for sure! Thanks for the info and the giveaway. I’ve never seen or heard of this before. The possibilities are endless! Have never seen this template before!!! Looks VERY interesting! Very cool template. Honestly, I have seen it but do not own it nor have I used it. I thought it would be fun to use this to do some slash and swap quilting with the curved edges! What do you think? Well, this is the first t I me I’ve seen these templates and they are awesome…love all the quilts you have featured especially Eve’s Garden…it is gorgeous with beautiful colors!!! This is the first time I have ever seen the Leaves Galore Template. You make it look so easy in the video 🙂 I absolutely love your quilt patterns using the Leaves Galore Template. Thank you for the great give-away. Absolutely love this and would use it. I have not used anything like this before but is a definite “must” for me. Love the quilts and what you do. Going to sign up for your newsletter as soon as I post this. Thanks so much for sharing!! I am relatively new to quilting, so this is the first I have heard of this. I was wondering how those things were done! Thanks for showing us! I would love to win this! Thank you for introducing us,Sue and Leaves Galore.Your patterns are gorgeous. I especially like Eve’s Garden. I have never seen your work, Where have I been? This looks like a great tool. I would love to be able to try it. I absolutely love to applique and have never seen this tool. I can’t wait to try it. Thanks so much for introducing it. I have never used them before! Thank you for the chance! 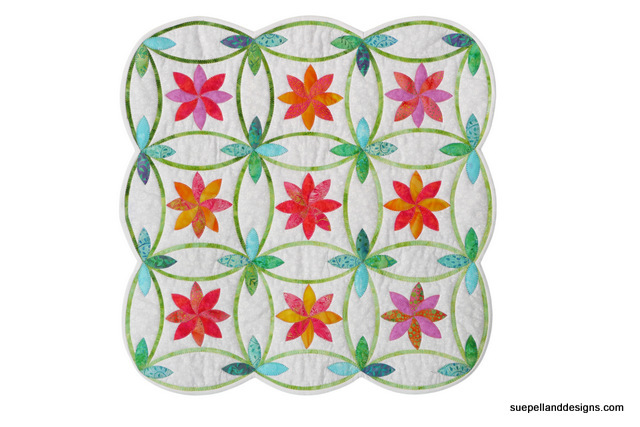 I have not seen this particular template before, but I love the quilts that can be made using it—especially Hope’s Diamond and Melissa’s Quilt. I was not aware of your templates. They’re very fun! Thanks for the demo, and the chance to win. I have not seen this template before and am quite intrigued. I think this template could also be used to mark quilting lines for free motion quilting. I’d love to own one. Thanks for offering this for a give away. I have this ruler and love it! I also use it to draw lines for quilting on my long arm. Many uses for this. I would love to have all 3 sizes! I have not made a quilt using your template, nor do I remember knowing about it. I’m going to sign up for your newsletter, I’m excited to see your new rulers and patterns. What a great way to make lots of leaves. First I have every seen of your ruler but it looks really cool, would love to put it to use! Very cool! This is the first time I’ve seen this ruler. Count me in on the giveaway! I would love to try this ruler! I haven’t seen this before. Your videos are great. I am more of a visual learner so they make it easier for me to actually watch you while you explain and cut etc. I would love to win this and start doing more appliqué. Your quilts are wonderful. I haven’t seen this ruler before but I think it would be fun to try. This template-ruler looks awesome. I would love to try it. Neat ruler. I haven’t seen this before but it looks great. Thanks. I’ve never seen this ruler before, it looks like there would be a lot of uses for it. I’d love to try it, great video. Thanks for showing me something new. I’ve never used a ruler like before, and I wasn’t even aware it existed. What a great idea! Gosh, never seen these before. And I am a ruler ..er templates junkie! Thanks for great video on how to cut with them, and change to win one too. This is new to me! Would love to give this ruler a try! I have never heard of this great tool!!! Fabulous quilts and I totally love fusible applique 🙂 It would be great to win this cool template, thank you for the opportunity! Wow! I had no idea how versatile the template was. I’d seen leaves cut before, but that was it. The Promise Ring quilt is so cute. Thanks for the ideas! Beautiful projects! I’ve never seen your fantastic template/ruler before. I would love to win one, keeping my fingers crossed. When I win (lol) I will make many quilts from this awesome Truler…Remplate… Rulplate… whatever. Never used the ruler before, but love the Hope’s Diamond Quilt!! I never had heard of your templates. They sound VERY interesting. I’d love to give them a try. I bought two of these templates, taped them one on top of the other and it is great for FMQing! I’ve never heard of this before. I can’t wait to make Melissa’s Quilt for my DIL, Melissa. This is the first I’ve heard of your template and I’m excited to learn more. Thanks for the blog and the chance to win your gift. i have been wanting this template! i saw it demo-ed at a quilt show a little while back. i love it! What an interesting tool. I will be checking this out further. I have never seen them before but obviously now I really need one. What a great tool. Would love to try it! This tool would be so handy and make applique so much more do-able! Can’t wait to give it a try. I have never used these before! Look amazing! This is the first time I’ve seen this template and I always love new quilting tools. Thanks for the great giveaway! I have not yet made a quilt with Leaves Galore. Love this amazing ruler. This is the first I’ve heard of your template. That Eve’s Garden Quilt is amazing (as are the others). Thanks for the chance to win. This is the first time I have heard about your templates. Wow — I have never seen or heard of this template before ! I love it and all of the many uses ! It is a new must have. My friend bought this but didn’t know how to use it. Since watching your video, I will be borrowing her tool or hoping I win one of my very own! I do traditional applique and this would be so much fun to do this way too!! Thanks! This is the first time I have heard of these, they sound great. This is the first I’ve heard of it, but it would certainly make some upcoming wool projects easier! Thanks! Have not ever heard of the Leaves Galore but it’s really exciting to see what you’ve done with this particular tool. I’m loving what I’m seeing! I have seen this ruler demonstrated and it is on my wish list. I haven’t made a quilt with this tool, but I would love too. Thanks for the chance to win. I’ve never heard of Leaves Galore before but I’d love to try it! New to me, too, but oh so interesting. Sign me up for your giveaway! I haven’t seen this before either. I love the concept of the template. In just learned about your template. How fun!!! This is the first time I’ve heard of these templates. I like the quilts featured in your post. WOW! I’ve never seen this before–I’ll be on the lookout now for sure! Love the Hope’s diamond quilt-just gorgeous! Sue-Love using the templates!!! I made the mini Melissa’s quilt and have more plans on the agenda!!! Can hardly wait to see the new ones in Oct! This is the first time I have heard of the template and can’t wait to try it. Thanks for the giveaway. Wow, I have never seen this before. I would love to try it. I do a lot of applique! I have never seen your template, but love the idea of cutting multiple appliqués with a rotary cutter!! These are new to me – but what a great tool! Thanks for putting my name in the hat for the drawing! I love…love appliqué and have never seen or heard of this rotary cutting method. It looks so…simple. Thank you for posting this wonderful resource. I have seen this ruler before but don’t own it … yet! It looks fabulous and hope to make a quilt using it soon. I’ve been staying away from curves. After reading your blog, I guess I’ll start using templates. I hope I win; otherwise, I guess I buy one after October 2nd. This is the first time I have seen this template. Beautiful projects! This is new to me! What a great idea. Beautiful quilts using your template. I had not seen yours, but had seen another similar to this one. Yours looks much easier to use however and is definitely the one I want to have. You did a fabulous video showing how to use the template as well. Thank you. I have always admired quilts with the black background and vines/leaves around the edges. I really love the look, although I’ve never attempted it myself. I think maybe I might be less afraid of trying using yours. This is the first time I have heard about these templates~ and WOW! My mind is running with possibilities! Thanks for the chance! This is the first time I hear about such a tool. So great. I have never made a leave galore quilt but they are so lovely. This is the first time I’ve seen the Leaves Galore template and quilts. I love them! Thanks for the chance to win a template! I haven’t seen these templates before, but what a great tool. I LOVE the Eve’s Garden quilt! This template it new to me as well. Would definitely make an interesting adventure to use it. This is the first I have heard of your template and am very interested to learn more! This is the first time I have heard of your templates, but I love machine and hand applique. I am looking forward to the release of your new templates. This is the first time I have heard of your template but it look very interesting. Hope to win it for trying. This is the first time I’ve seen these templates. I love the Hope’s Diamond quilt. Thanks for the chance to win. Your quilts are stunning!!! I need to have this tool and the book so I know what to do with it. The results are amazing. I’m so excited about the possibilities! I have never used your templates but have definitely put it and your book on my ‘must have’ list!! Your designs are creative and interesting and I would love to try making them! Thank you for the great tutorial! This is new to me… I’d love to win it to give it a try. The results are awesome! I had not heard of this until this blog post, but it looks very intriguing. I am always amazed at the great ideas that come from the minds of creative folks. I would love to give this one a try. No never heard of this ruler. When I attended a workshop, I was given a paper template of a wavy border. It was flimsy and hard to use. Like the multiple uses and colorful quilts. this is first time i have seen your video about how to use your template I would like to give it a try. Beautiful. So happy to be introduced to your template, and what a fantastic idea and tool it is! Love the Eve’s Garden quilt…it is beautiful and looks like it would be great fun to make. I have heard of this template before but have never used it. I’d love to try. Thank you.